This is part two of a two-part series on the growing importance of offering a work-life balance to employees in your company. To compete in recruiting the best new employees and to retain your current employees, you need to offer work-life balance programs, as I discussed in my last column. So how do you go about doing this? Is it going to cost you a lot of money to implement these programs and result in lost productivity? It doesn’t have to. 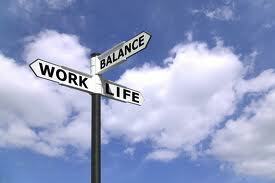 The number one consideration for work-life balance is flexibility. That’s what many potential employees value most. Being chained to a desk from 9-5 with a strict two-week vacation policy every year is an old-fashioned and outdated model. Here are a few ways to bring flexibility to your workplace. And surprisingly, many of these measures result in increased productivity as your employees are happier, feel more independent and motivated. Stagger starting and quitting times if appropriate. Some people prefer to start work earlier or later to avoid the traffic during rush hour or to leave earlier in the day to exercise or be with their children. While some jobs can’t be performed at home, many can be done better outside an office so consider telecommuting some or all of the time. Salespeople who spend a good amount of time on the road could be more productive catching up between sales calls by going to their home office or working in a coffee shop rather than making an appearance in an office. One PR firm in Atlanta allows all employees to work from home every Friday. They are still connected to each other online. Many of them feel that they are more productive at home than in their shared office. Make it easy for employees to take off a few hours one day to attend a school event, and make up the time at home or on a different day. I’ve written before about companies that put no limits on vacation time. Maybe that doesn’t work for your company but you can make sure employees have enough time to take off to recharge their batteries. Increase their PTO each year, even if it’s just by a small amount, to motivate and retain employees. Allow unpaid leave if an employee has a health crisis, a family emergency or is caring for a sick relative. Chances are good that few employees will need to take advantage of this benefit, but just knowing that it’s an option makes employees feel better about working for your company. If your company is big enough and demand warrants it, check into setting up an on-site childcare facility. Or partner with one nearby and provide a discount to your employees. To best meet the needs of your employees, consider conducting a survey to ask them what they would like to see added to your company. That has the added benefit of allowing employees to feel like their opinions are being heard and considered by management. Just remember, the key is flexibility. When your employees feel that your company is responsive to their needs and their desire for flexible working options, they will be happier and more productive employees. And that is always good for your bottom line. This entry was posted in Leadership, Lessons for CEOs, Lessons for Success, Work-Life Balance and tagged flexibility in the workplace, Lee Katz, The Turnaround Authority, turnaround, work-life balance. Bookmark the permalink.